By now it is quite clear that if you want to stay relevant, digitalization is the way you want to go. This implies to all industries, not just banking. In the beginning it all seemed so simple, but let’s be honest – most could not predict the scale of technological advances. Hence, no digital journey could have been planned that fits both the strategy and the needs technology brought. Touch-up the front end leaving the infrastructure intact. Focus on specific components, upgrade and build from that. 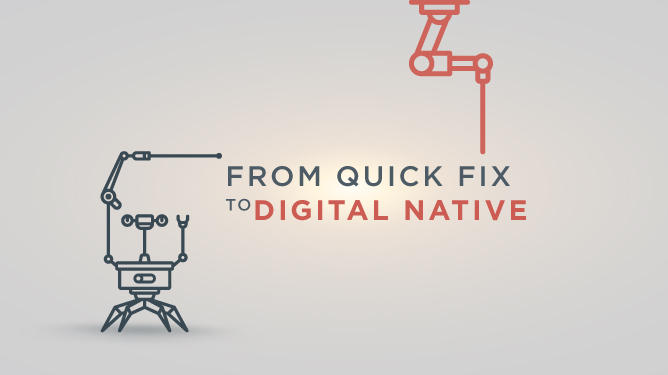 Go fully digital on the back end to support the customer interface. When all this digital transformation buzz started, many thought that the first two options were sufficient. And why not, when there were not so many channels considered, with few applications in place. It turned out that the technology is a “cruel mistress”. The channels multiplied and so did the need for various apps, leaving most banks wondering what was it they wanted to do in the first place. What is our main competitive advantage, what is our target group and do we have the infrastructure to support it? When you look back, you have spent a lot of money which did not return the investment as you expected, maybe even your costs increased. Multi-channel that is in place now needs to be omni- or opti-channel, with all the data stored centrally, delivering a tailored experience on the customers’ channel of choice. Synchronizing all the channels without the right back end can be daunting or even impossible. As soon as you have made a change on one channel, with the first interaction from the client, you have to change it all over again if you want to provide a consistent experience. “Fully digital” option does not look as costly as it did earlier. Yes, the back-end infrastructure has to be changed and this will impact company culture and employee structure but you will instantly know if your clients’ preferences have changed, you will be more agile in making the necessary adjustments, and the time to market will be significantly reduced. 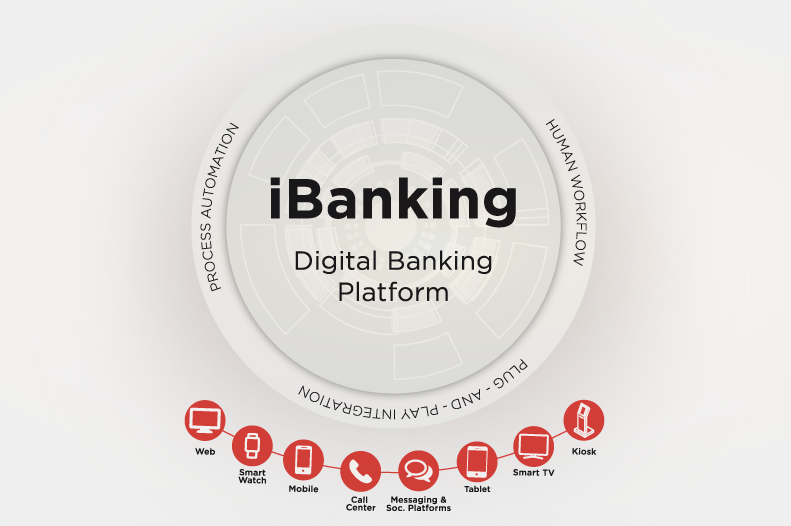 With cloud technology you can launch a digital native bank within months, and this flexible approach makes it easy to partner with third party companies and offer their products and services on your channels. As opposed to having to log into multiple different consoles and administration panels, you can now do it from one place. Imagine what that means for employee efficiency and timely and relative communication with your clients. Managing all the applications will not be as time-consuming. Also think of how much you can benefit from providing single point of administration to your back-end executors. With centralized administration you can instantly distribute changes and information across various channels and applications you have in place. Forget about costly implementations and new jobs only to serve a bunch of applications you’ve implemented. Use your resources wisely and productively, not for operational tasks. With our omni-channel solution we promise you will be quick in adopting the change when it comes. Change is not easy in the banking industry, but NF Innova can make it easy for you.